SellerActive has partnered with Deliverr, which is great news for sellers who want to bolster their multichannel efforts by using a fast fulfillment service. Here's how the two solutions work together. Deliverr gathers SKUs from SellerActive's platform every hour, and creates these items within its database. 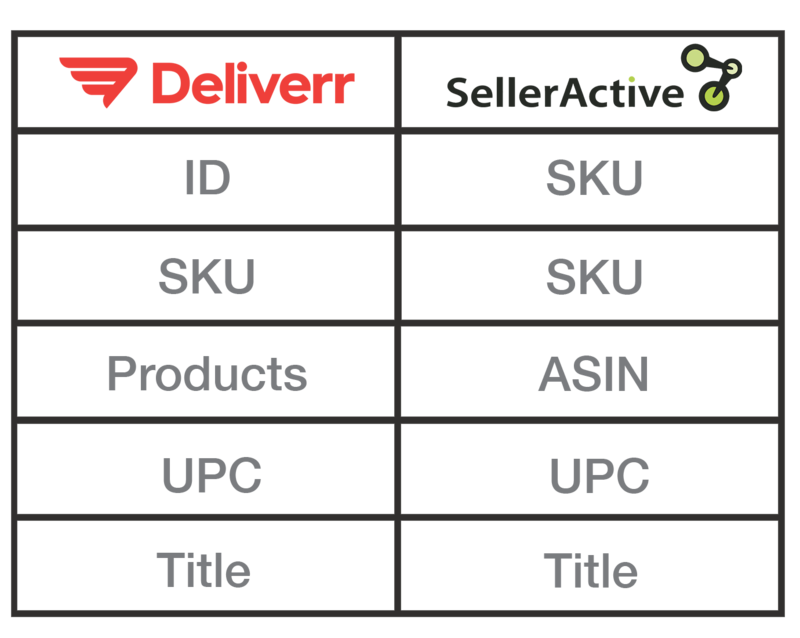 Deliverr will automatically import the SKUs you have within SellerActive. If you need to perform any SKU adjustments on your listings, you will want to do this prior to integrating with Deliverr, as you cannot delete SKUs out of Deliverr at this time. When you are ready to ship your inventory over to Deliverr's warehouse, you will create a packing shipment from within Deliverr's interface. This will create a Deliverr Location within SellerActive, and once your physical inventory reaches Deliverr's warehouse, Deliverr will send updated quantities to SellerActive. SellerActive do not currently carry any "in-transit inventory" while items are headed to Deliverr's warehouse. Instead, SellerActive will display the quantity as 0 locally. Pro tip: Create a warehouse location within SellerActive before you ship inventory to Deliverr. This will keep your on-hand inventory prioritized until Deliverr receives your inventory. If you do not have a location prior to Deliverr's location being created, the Deliverr location will be prioritized. When your physical inventory reaches Deliverr, Deliverr will send SellerActive an updated quantity total, and SellerActive will then feed this quantity to the marketplace. 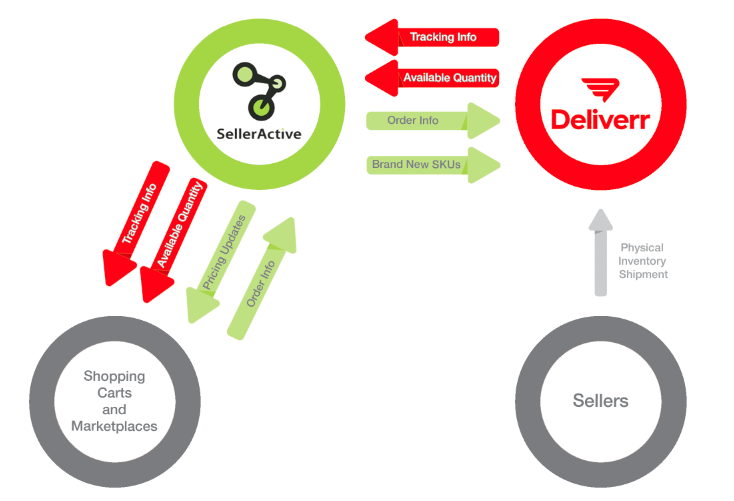 The main way for quantity updates to reach the SellerActive system is via Orders that are placed on the marketplace. Currently there is no way to manually prompt a quantity update from Deliverr to SellerActive. Once an order is placed for a SKU that has a Deliverr location, you will see the order locally within SellerActive. Deliverr will constantly check for new orders, and when an order is made, Deliverr will automatically grab this order from the SellerActive Order Manager. When the order is shipped by Deliverr, they will send an update to SellerActive and then SellerActive will send a tracking update to the marketplace. Fees and shipping costs are not currently sent to SellerActive for personal reports, but you will however be able to track your fees within Deliverr directly.